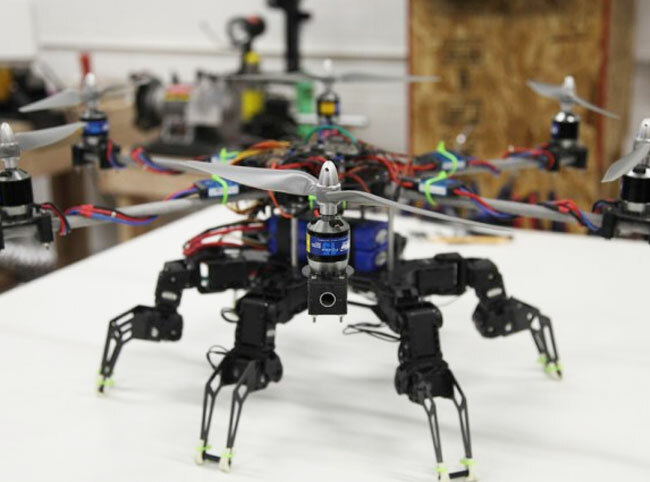 MadLab Industries have combined a six-bladed hexacopter and a 6-legged hexapod to create a new type of terrifying hexadrone that can not only walk but fly as well. The Hexapod is a modified PhantomX kit from Trossen Robotics, and a custom MLI hexacopter, have been spliced together using carbon-fibre and aluminium to keep the weight to a minimum. Watch the video after the jump to learn more about the Hexadrone project and see it in action.